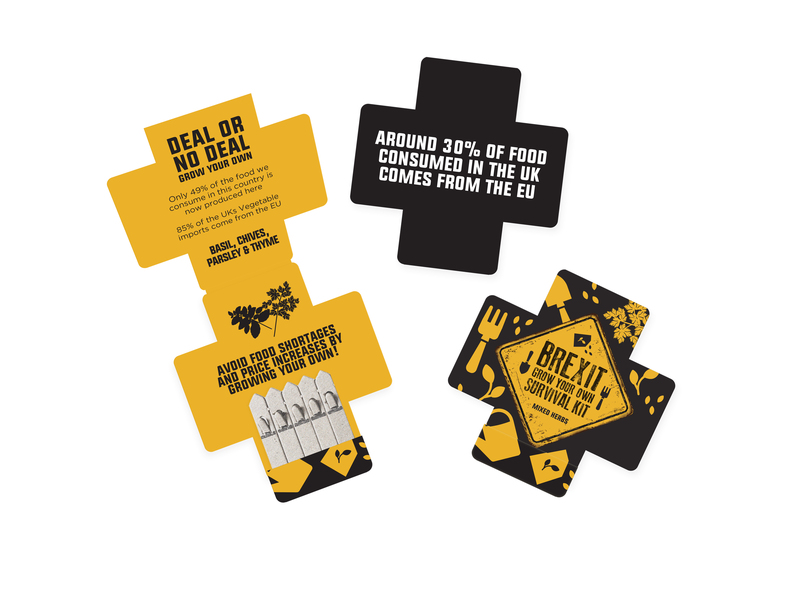 With Brexit decisions right around the corner, it’s imperative to begin considering some of the statistics regarding food shortages. For example, about 30% of the food we consume in the United Kingdom comes from the European Union. Even more frightening, a whopping 85% of the veggies we eat in the UK come from the EU, too. If we want a shot at being able to keep yummy greens in our diets, we must take matters into our own hands. That’s where our handy dandy Seedsticks™ come into play. Luckily, Buddy Burst has recently released a special edition Brexit Survival Kit Seedsticks™. These allow UK citizens to easily grow their own herb plants. In doing so, they can do their part in preventing post-Brexit food shortages. Regardless of the Brexit proceedings, your customers will be delighted to grow their very own herbs to cook with. Of course, all Seedsticks™ packs can be customised with your individual company’s branding. Why use plastic products to promote your company when you can share a unique gift that will stick around for a while – because it can be planted! Our products not only contribute to bettering the flora of the planet (more plants = more oxygen production = a healthier Earth). To see our wide variety of sustainable promotional products, go to www.buddyburst.com. To place an order or learn more about pricing, call +44 (0) 207 157 9598, or email hello@buddyburst.com.